The growth financing was led by Vistara Capital Partners, as it continues to support leading Canadian growth stage technology companies, as a core part of its North American wide investment platform. This builds on 2 years of strong sales growth as FINCAD is seeing growing demand across both the buyside and sellside for valuation and risk solutions that are transparent and flexible. “I am pleased to say that over the past 2 years, our F3 bookings have doubled. These funds allow us to accelerate the execution of our strategic plan to grow our enterprise solutions business while continuing to support the analytic needs and the success of our hundreds of existing clients,” Bob remarked. 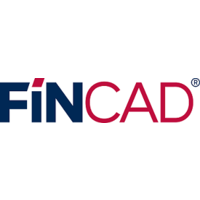 “I have had a relationship with FINCAD’s leadership team for almost a decade and during that time, have tracked the evolution of F3 enterprise technology from invention to its commercial maturity. FINCAD is the kind of globally successful company that Vistara is enthusiastic about supporting,” said Randy Garg, Founder and Managing Partner of Vistara Capital Partners, who along with John O’Donoghue will become Observers on FINCAD’s Board of Directors. Headquartered in Vancouver BC, Vistara Capital Partners provides highly flexible and tailored technology growth capital solutions for companies across North America. Founded, managed, and funded by seasoned technology finance and operating executives, “Vistara” (Sanskrit for “expansion”) is focused on enabling the growth and expansion of its portfolio companies. Additional information is available at www.vistaracapital.com.